Screen-Pot is a restyling of the classical flower pot with grates for climbing plants. 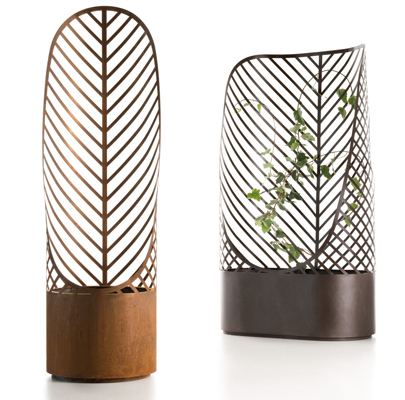 Thanks to the use of steel and laser cutting, this design has a graphic effect inspired by natural forms. Ideal as a divider, Screen-Pot provides a vegetal and portable shield, giving privacy and protection from the wind.